Location: 2nd. St. @ J St. Comments: Deciduous broadleaf native to Europe and Western Asia. Dark green 2" ovate leaves with prominent veins and serrated edge. Mature trees to 100'. Wood from this tree is hard, close grained and similar to animal horn. 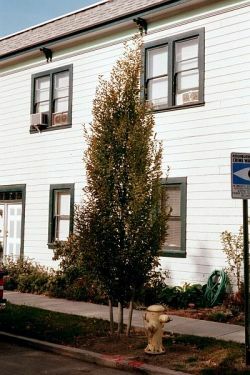 There is an American species of this genus called Carpinus caroliniana.